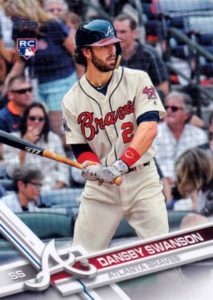 For many collectors, variations can be a huge undertaking, but the 2017 Topps Baseball Complete Set Retail rookie variations make it about as easy as possible. 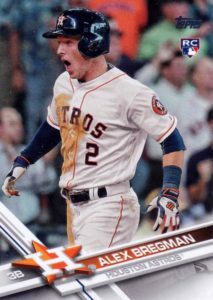 Packaged within the main line for 2017 Topps Baseball Complete Set, the retail edition is the only place to find the five exclusive Rookie Image Variations cards. 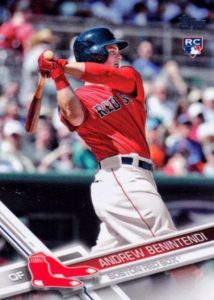 Featuring different photos from their flagship rookies, top RC players include Aaron Judge and Andrew Benintendi. 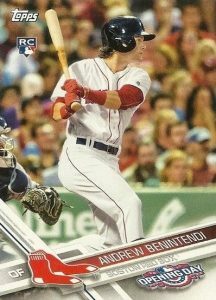 Shop for 2017 Topps Baseball Complete Set Retail Boxes on Topps. 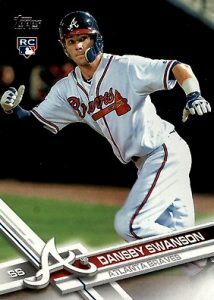 Perhaps the most convenient aspect is the fact that all five 2017 Topps Baseball Retail Factory Set Rookie Variations come in every box. 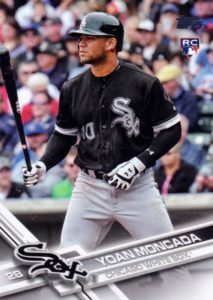 It is important to double-check that you have the correct factory set, since there are multiple versions. 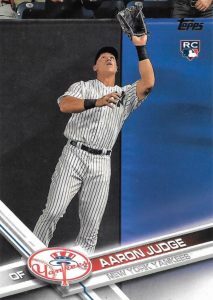 This is made less confusing since the exclusive cards found inside are noted on the outside of the box. 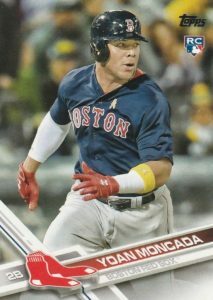 It is important to point out that these players also have regular Series 1 SSP variation cards that are pulled in packs. 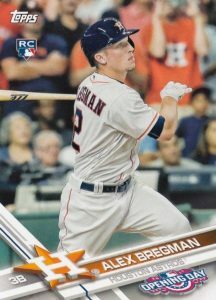 The 2017 Topps Retail Factory Set Rookie Variations gallery below lists all the options alongside their base counterparts for easy identification. 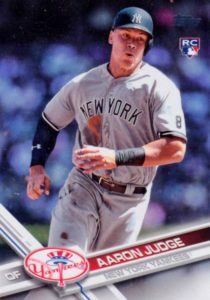 2017 Topps Factory Image Variation #287 AARON JUDGE Yankees Rookie RC RARE SP! !